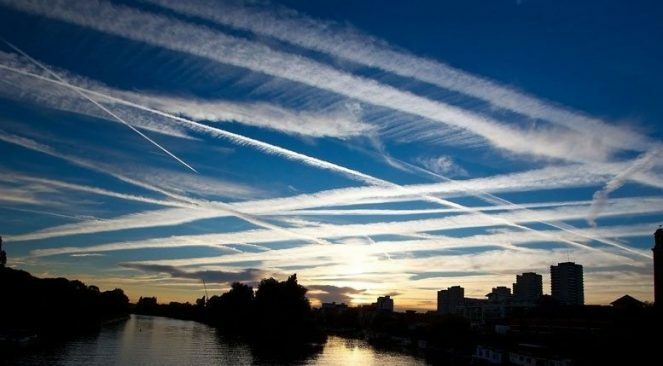 This interview is based on a recently published scientific paper on Geoengineering by scientists Wake Smith and Gernot Wagner titled “Stratospheric Aerosol Injection Tactics and Costs in the First Fifteen Years of Deployment”. Jon Age of the Anomic Age Show and Raptorman discuss the past, present and future of Geoengineering with jet aircraft using the scientific paper as a guide to what may be occurring in the skies now. The paper goes into detail about the number of aircraft, bases and chemical compounds needed for a global Geoengineering program and it looks a lot like what witnesses are reporting today. Raptorman’s article about the scientific paper was published on the front page of Natural News and shocked the Geoengineering research community. Interview starts at the 24 minute mark.